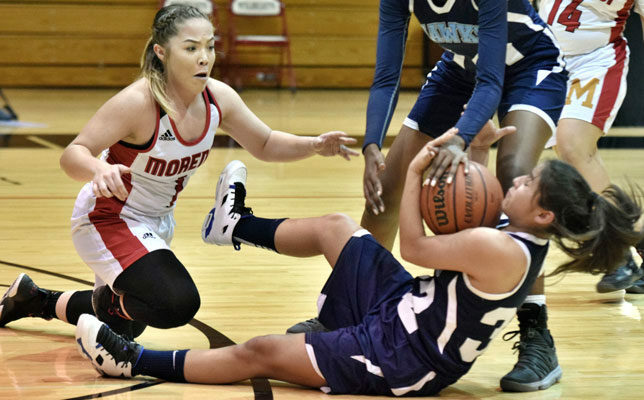 Raymundo Frasquillo Photo/Gila Herald: Morenci senior guard Faith Hood goes down on the floor to recover a loose ball against The Gregory School. The Hawks left Wildcat Memorial Gymnasium with a 43-37 win Jan. 18. MORENCI – The Albert Ortega-coached Morenci Wildcats fell 60-32 to the New Mexico Silver Fighting Colts on Jan. 19, 43-37 to the Tucson Gregory School Hawks on Jan. 18, 47-31 to the Pima Roughriders on Jan. 15, and 44-36 to the Cowgirls in Willcox on Jan. 11. 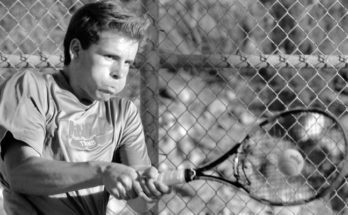 The Pima and Willcox pairings were for region contests. Ranked 28th of 48 2A teams, Morenci (4-9 seeding, minus 3.5873 rating, 3-6 East Region for No. 5) lost to the No. 19 Bisbee Pumas (9-5, 0.8448, 5-5 region for No. 4) 45-36, Tuesday, Jan. 22. They will host the No. 8 Thatcher Eagles (11-2, 8.0662, 9-0 region for No. 1) Friday, Jan. 25, both in region play, and welcomes the New Mexico Bayard Cobre Indians Saturday, Jan. 26. Remaining on the regular season slate are region games with the No. 18 Bobcats (7-4, 1.4292, 6-3 region for No. 3) in Benson Jan. 31 and in Wildcat Memorial Gymnasium with the No. 42 Tombstone Yellow Jackets (0-12, minus 13.4478, 2-6 region for No. 7) Feb. 1. Raymundo Frasquillo Photo/Gila Herald: Morenci freshman Devonee Medina heads to the basket against Pima freshman Saydee Allred. The other region members are No. 20 Pima (8-7, 0.2749, 7-3 region for No. 2) and No. 29 Willcox (3-10, minus 4.2020, 2-7 region for No. 6). Morenci has shot a combined 44 percent (66-150) for free throws during eight region games compared to 45 (78-175) for the opponents. 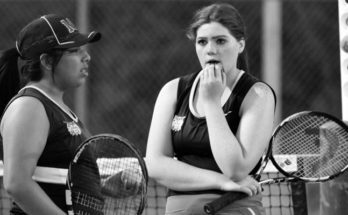 The individual percentages are 75 (3-4) for freshman Juliana Forgach-Aguilar, 73 (8-11) for freshman Devanee Medina, 62 (8-13) for senior Heather Lee, 50 for freshmen Zenayah Cortez (6-12), junior Yrliana Molina (1-2) and sophomore Kayla O’Connell (1-2), 45 (10-22) for junior Desiree Babb, 43 (13-30) for junior Brigid Silvester, 41 (9-22) for sophomore Destanee Marquez, 40 (4-10) for senior Rhiannon Lang, 17 (2-12) for senior Faith Hood, and 10 (1-10) for senior Reona Alvarez. Sophomore Candace Forgach-Aguilar and Sarina Robledo have not attempted free throws in region contests. 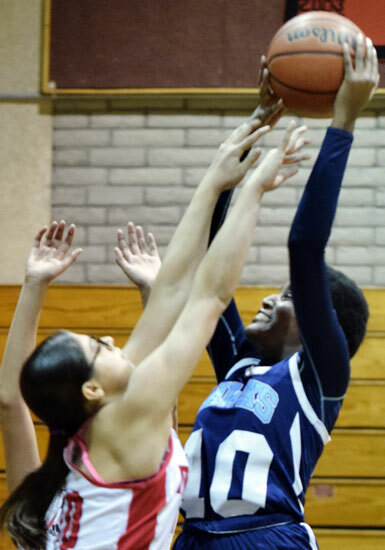 Raymundo Frasquillo Photo/Gila Herald: Senior Rhiannon Lang attempts to pull down a rebound against New Mexico Silver Fighting Colts’ Angelica Gonzalez. 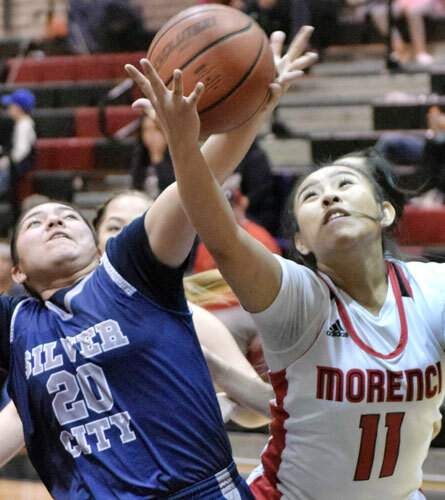 The visitors left Morenci with a 60-32 win Jan. 19. The Wildcats trailed by two, 2-4, 30 seconds into the game and by seven, 2-9, with 3:02 elapsed, but went on a 13-3 run to lead 15-12 at the start of the second quarter. A 17-17 tie ensued in the initial 2:25 before the visitors took the lead for good 12 seconds later. Morenci trailed 22-29 at halftime, and 24-31 before the visitors took control, outscoring the Wildcats 29-8 in the final 14:53. The Wildcats tallied 14 field goals plus 4-11 free throws versus 23 field goals (four 3-pointers) plus 10-17 free throws by the Fighting Colts. Lang netted 12 points on five field goals plus 2-2 free throws. Marquez added seven points, Babb, Lee, and Silvester four apiece, and Cortez one. Katelynn Limardo posted a game-high 28 points on 10 field goals (two 3-pointers) plus 6-8 free throws. Joelynn Dominguez eight points, Aryana Gomez, Alissa Jameson, and Jazmine Torrez five apiece, Jazzlyn Chacon three, and Angelica Gonzalez, Jordan McCain, and Marlaynah McDonald two each. 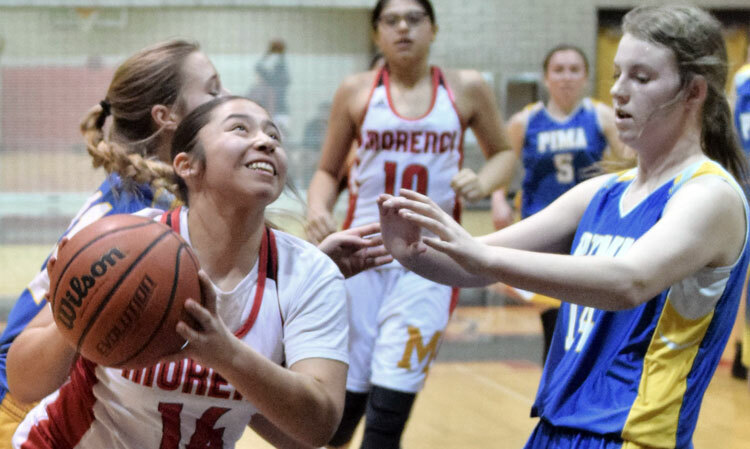 Raymundo Frasquillo Photo/Gila Herald: Morenci freshman Zenayah Cortez tries to alter a second-half shot attempt by Eunice Ineza of The Gregory School. Ineza had 20 points. A Lang field goal with 3:28 elapsed knotted the score at 3-3, but the Wildcats never led during the entire game. A Cortez basket brought Morenci within three, 35-38 with 3:27 remaining, but no closer. The Wildcats managed a 2-5 output during the rest of the game, making a lone field goal plus 0-4 free throws versus a field goal plus 3-10 free throws by the Hawks. The visitors led 14-6 following the first quarter, 24-9 at halftime, and 33-19 heading into the fourth quarter. Lang totaled 15 points on six field goals (one 3-pointer) plus 2-5 free throws and Lee 11 on three 3-pointers plus 2-2 free throws. Silvester added four points, Juliauna Forgach-Aguilar, Babb, and Cortez two apiece, and Medina one. Eunice Ineza and Gaby Lambert netted 20 points apiece for the Hawks, on seven field goals plus 6-13 free throws and six field goals (five 3-pointers) plus 3-12 free throws, respectively. Marina Sandoval added three points. Raymundo Frasquillo Photo/Gila Herald: Morenci junior Brigid Silvester protects the ball from Alani Blair. The Pima senior had a team-high 13 points and Silvester two. The Roughriders prevailed 47-31 on Jan. 15. Morenci’s offensive output was limited to single digits in each quarter, accounting for deficits of 8-17 after the first quarter, 16-26 at halftime, and 20-39 heading into the fourth quarter. The Wildcats totaled nine field goals plus 13-22 free throws versus 17 field goals (five 3-pointers) plus 8-17 free throws by the Roughriders. Lang posted a team-high 13 points on five field goals plus 3-5 free throws. Marquez added four points, Babb three, and Juliauna Forgach-Aguilar, Alvarez, Cortez, Lee, and Silvester two apiece, and Medina one. Pima senior Alani Blair had 13 points on five field goals (one 3-pointer) plus 2-2 free throws and freshman Saydee Allred 12 on four 3-pointers. Sophomore Nevaeh Grant added six points, senior Raely Brown and freshman Aubrie Sherwood four apiece, junior Harley Lofgreen, senior Cyndee Palmer, freshman Ashlie Sherwood, and junior Kassandra Velasquez two each. The Wildcats outscored the host Cowgirls 17-2 in the fourth quarter, but it was not enough to offset the prior 19-42 deficit. Morenci scored in single digits during the first three quarters compared to three double digit quarters by Willcox. 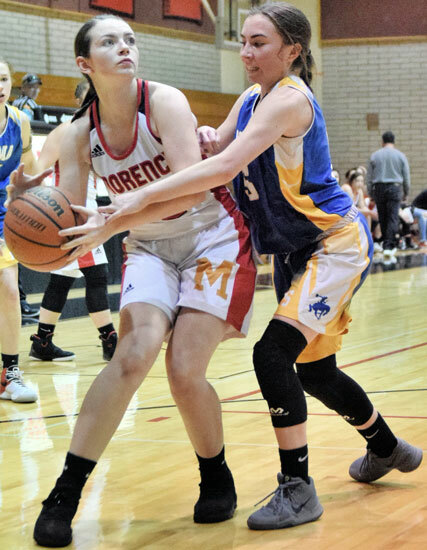 Morenci totaled 14 field goals (one 3-pointer) plus 7-12 free throws versus 13 field goals (four 3-pointers) plus 14-21 free throws by the hosts. Medina got 10 points on two field goals plus 6-6 free throws. Juliauna Forgach-Aguilar and Lang both added six points, Marquez four, Delicia Roybal and Silvester three apiece, and both Cortez and Lee two each. For Willcox, Jordyn Rheinhardt had 16 points on five field goals (two 3-pointers) plus 4-4 free throws and Alma Barajas 11 on five field goals (four 3-pointers). 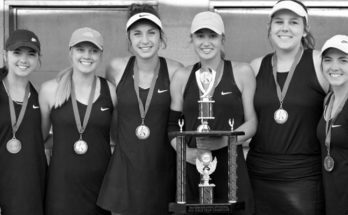 Tapanga Alexander added five points, Sydney Klump four, Abby Bull three, Viridiana Gutierrez and Kamilla Wyatt two each, and Alexia Morales one.